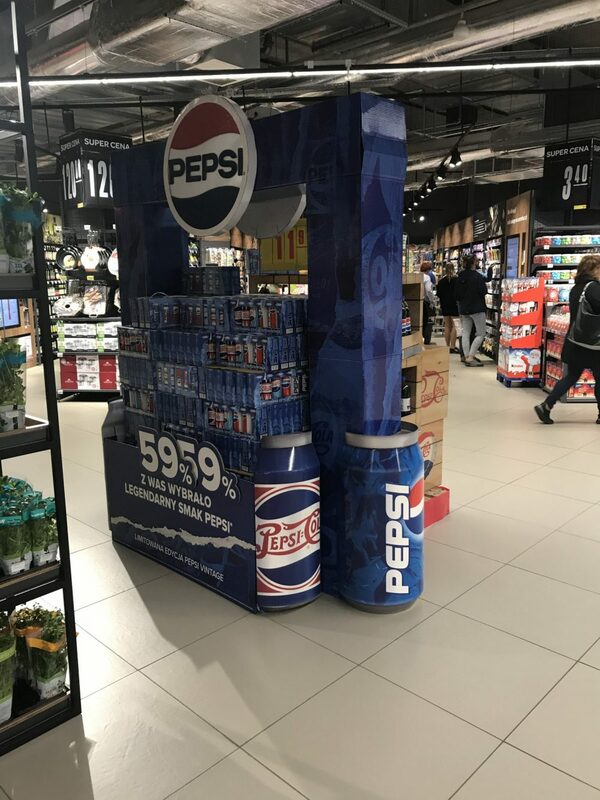 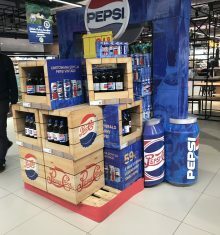 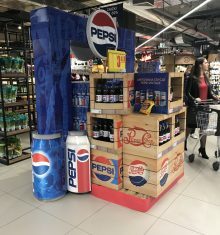 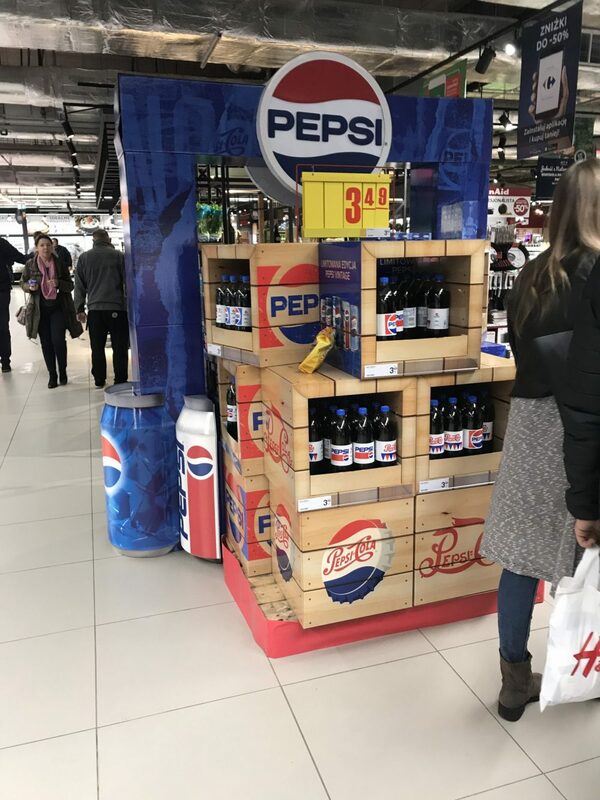 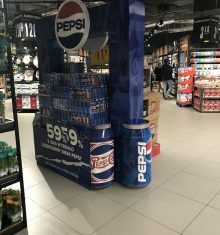 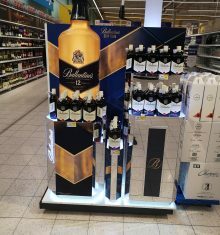 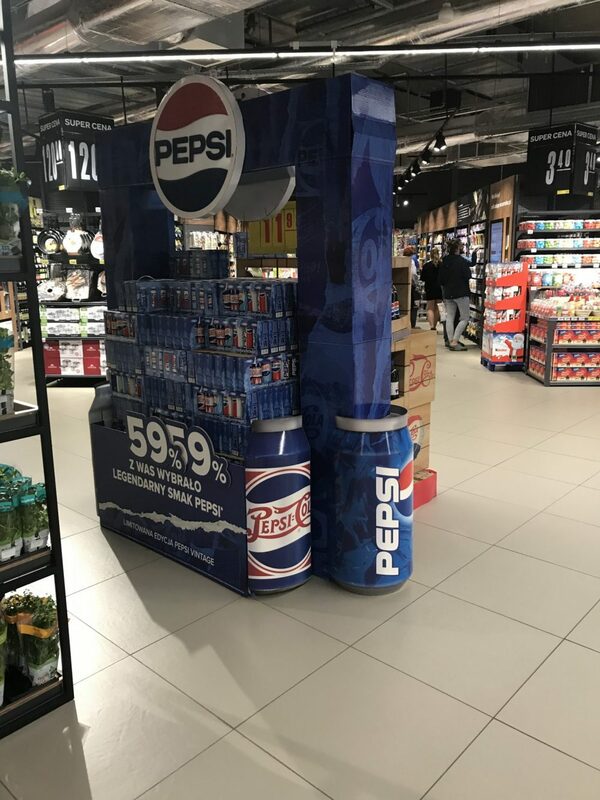 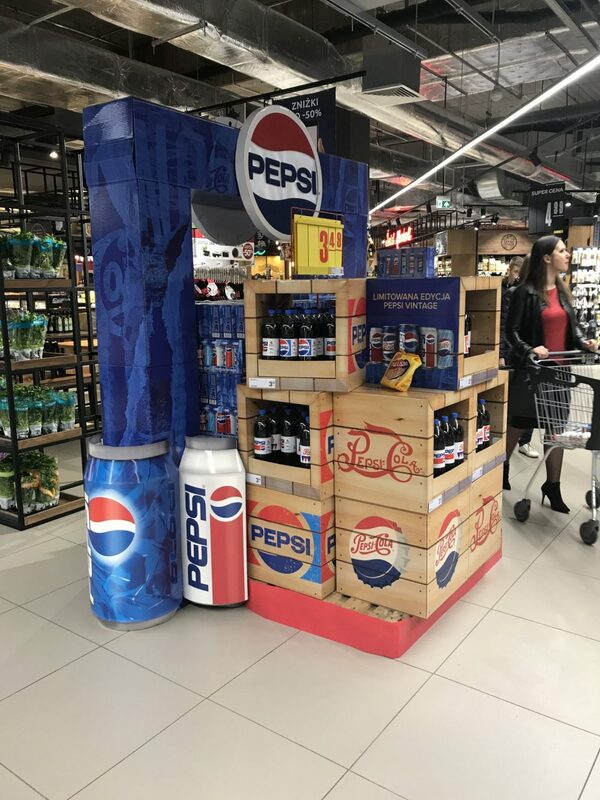 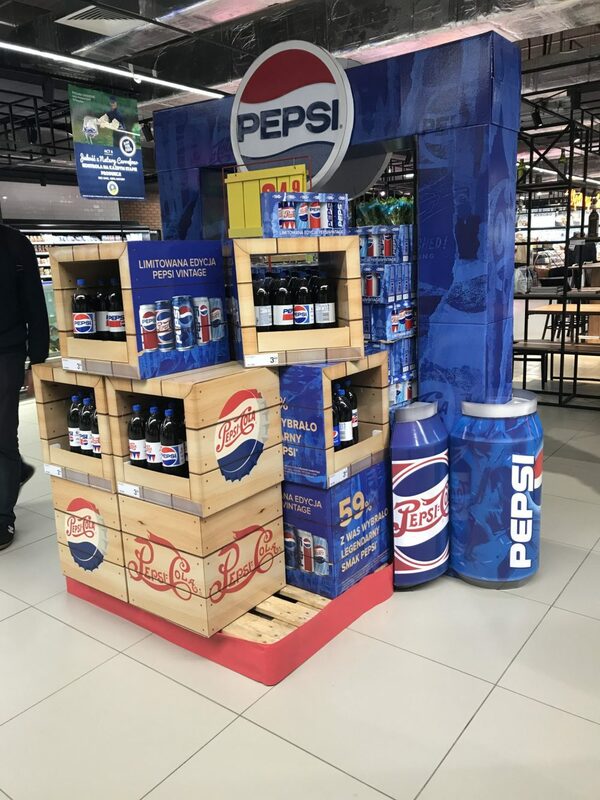 „59% of you chose the legendary taste of Pepsi” – this is the motto of the large palette island in Carrefour chain. 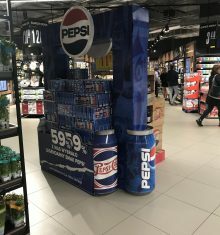 The exposition consists of many elements that draw attention. 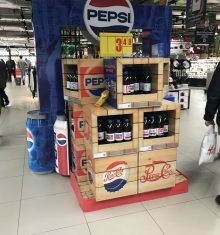 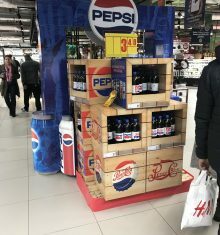 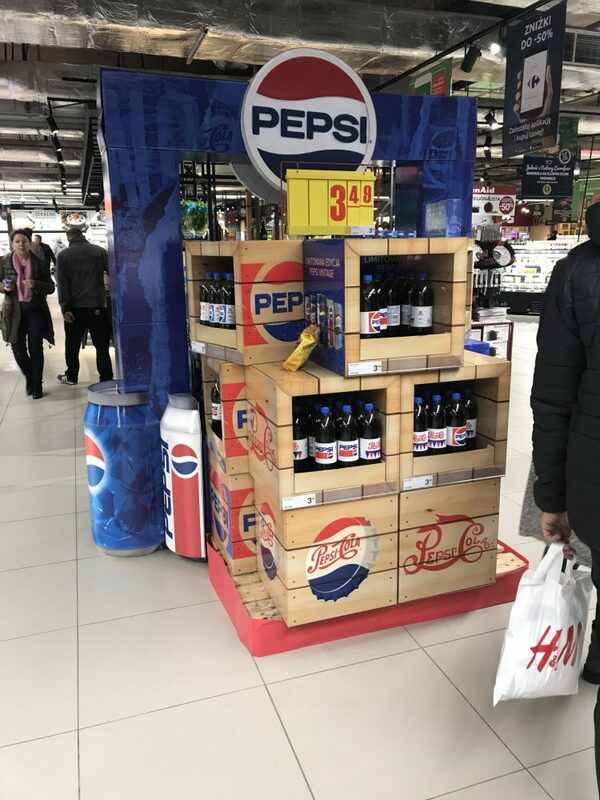 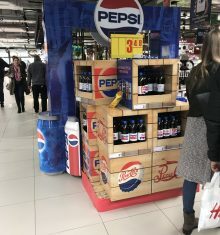 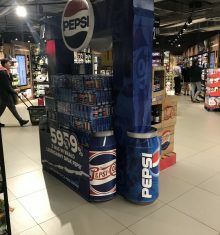 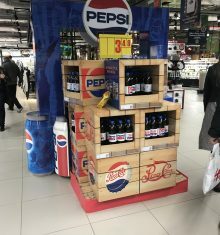 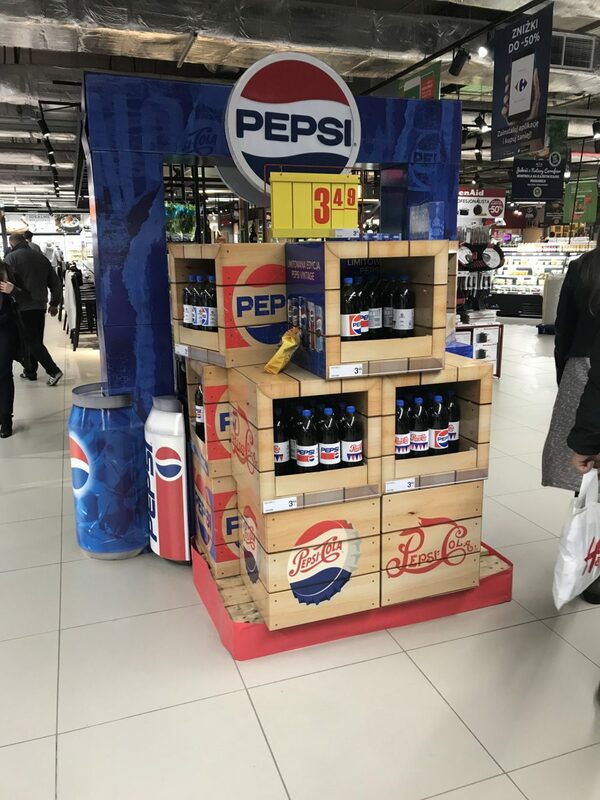 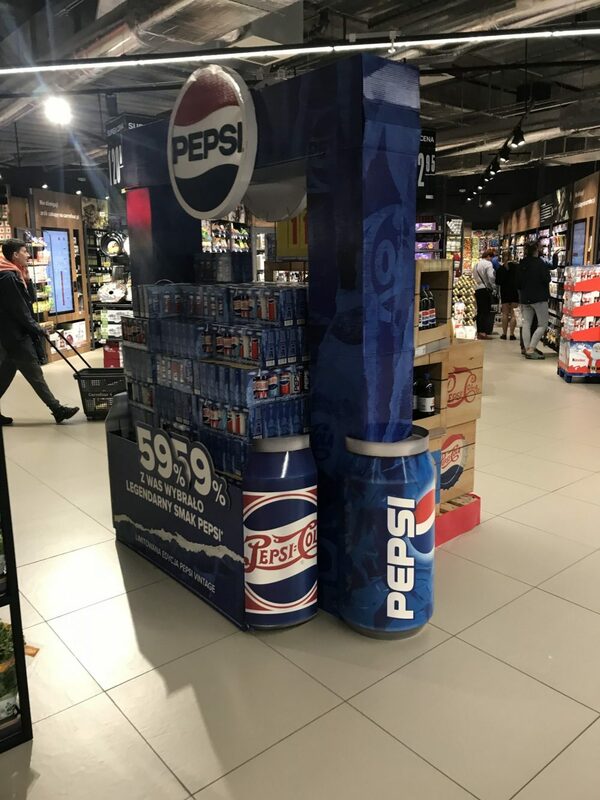 On one side there are caradboard boxes arranged to imitate wooden boxes of bottled Pepsi. 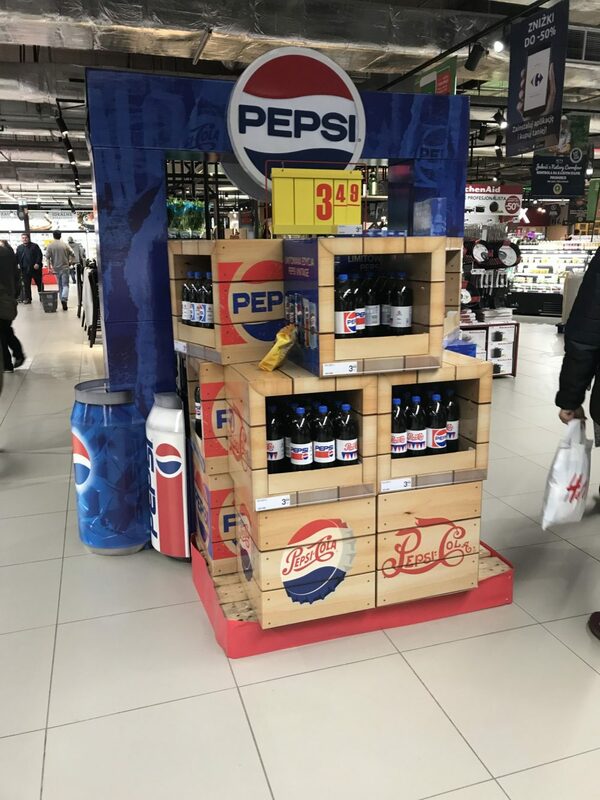 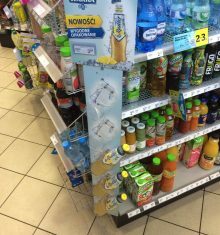 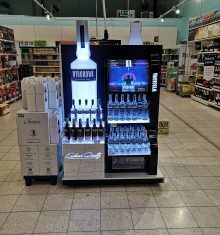 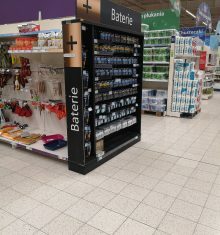 On the other side there are boxes with canned drinks.